People search the internet using more than desktop computers today. The world is full of smart phones, tablets and other devices, all with a versatile level of internet access. 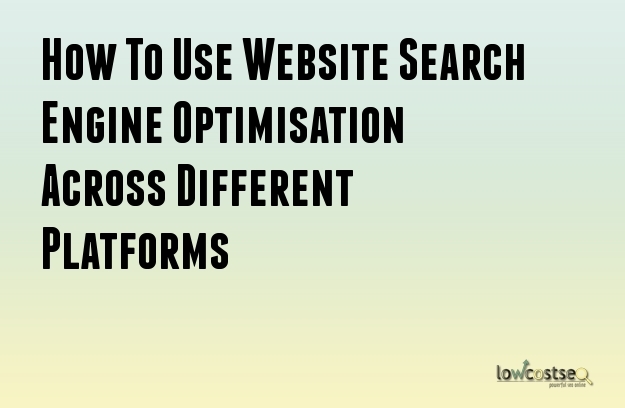 In short, people search on the go, so is your Search Engine Optimisation (SEO) up to the challenge of meeting these platforms? Which platforms you choose to target are entirely up to you, but it would be wise to pay attention to theses areas – especially since some of them are growing. Smart phones, for instance, were seldom targeted a decade ago but, today, few companies would dare to ignore such obvious potential. Here’s a look at some key areas we believe are worth paying attention to. As we just mentioned, smart phones are everywhere. Fortunately, modern web designs incorporate designs that adapt to smart phones (and sometimes tablets, in the same regard), while SERPS (search engine result pages) such as Google will still use the same results. In short? The same solutions still work here. Even Pay Per Click (PPC) campaigns will adapt to mobile adverts. The likes of Facebook and Twitter require more physical work, but they’re an undeniable asset today. With Facebook, for example, you can establish sponsored posts to target potential new clients, knowing it will appear in their feed. When these people engage, they have a direct connection to your page. Twitter, similarly, offers a great way to promote and share relevant content. One network this is getting attention, however, is WhatsApp. Companies can create broadcast lists to send links and information to customers who choose to add the number. It’s a lot of work, thanks to a limited number of members per broadcast list, but those that have tried it report an exceptionally high click through rate. After all, these are people who chose to be social with you, rather than just seeing your targeted content first. Finally, there is the ever emerging internet of things. What doesn’t have the web? Your watch, TV, fridges and even thermostats can all feature some sort of connection. While nobody is expecting kitchen appliances to show content while users are cooking, Smart TVs are one example worth paying attention to. Google previously experimented with AdWords on TV, and it may do so again – especially as it’s YouTube video service continues to be prime marketing opportunity for targeted campaigns. This is just an overview of the current level of technology, but it’s clear the SEO landscape is ever changing. In a few years time, could we have to adapt to smart cars, for instance, looking for local businesses? Nobody knows for certain, but we will definitely be prepared. Check our link-building services for effective SEO across numerous platforms.